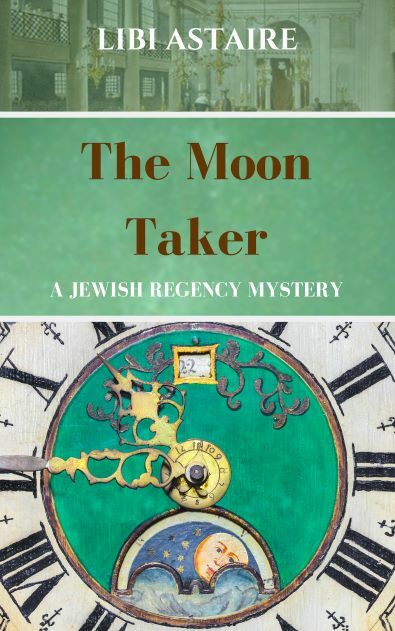 The Moon Taker: A Jewish Regency Mystery Libi Astaire. Where Mystery and Jewish History Meet. In this third volume of the Jewish Regency Mystery Series, General Well’ngone and the Earl of Gravel Lane set out to discover who murdered a colleague of theirs in the secondhand linen trade. But before they can unmask the killer, they must unravel the secret of a mysterious snuff box, a quest that takes them from their East End slum to an elegant country house where a group of distinguished astronomers are meeting - one of whom has a secret as dark as the night sky.